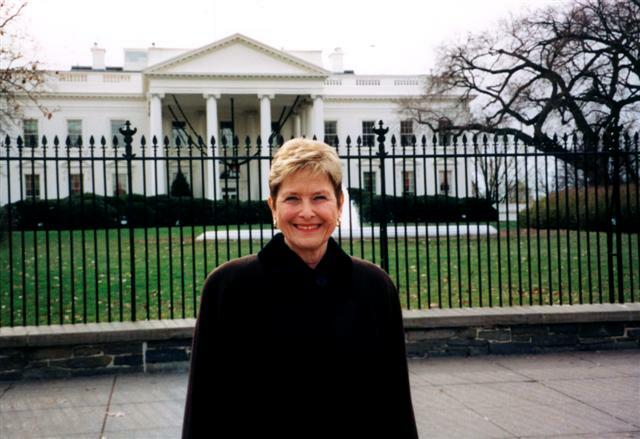 What an honor to be invited to The White House. A thrill of a lifetime. 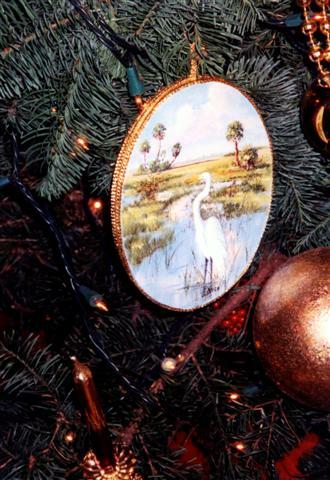 There were only 5 artists from Florida chosen to design an ornament for the White House Christmas Tree. I was fortunate to be one of those chosen. 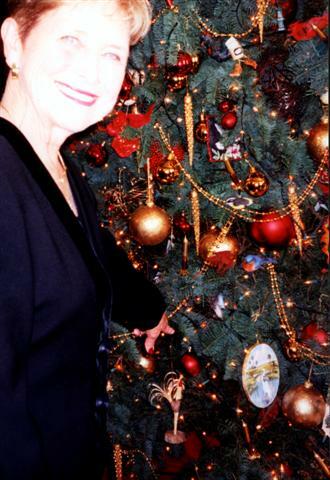 In this photo I'm pointing to my ornament on the tree. A close-up of the Christmas ornament I designed for the beautiful White House Christmas Tree which stands in The Blue Room. 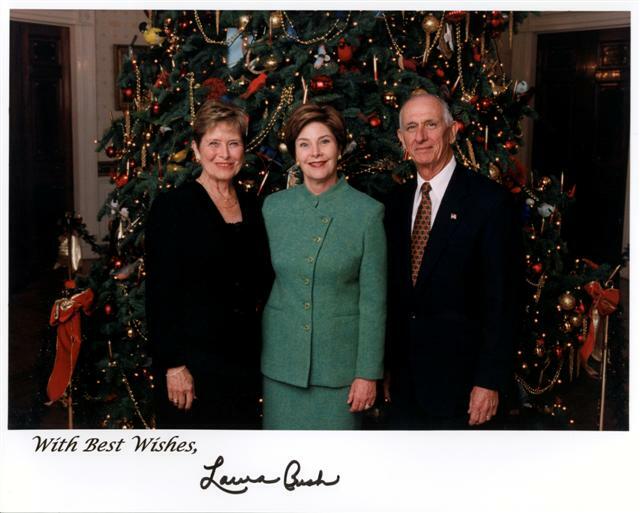 A wonderful reception, hosted by First Lady, Laura Bush, was given for the artists. 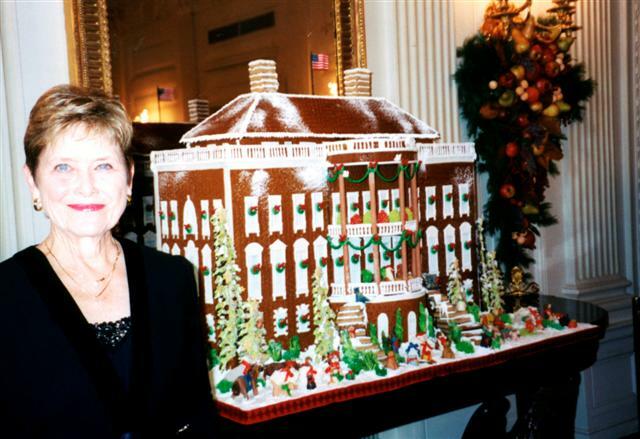 This gingerbread house was a replica of the White House. gracious lady. 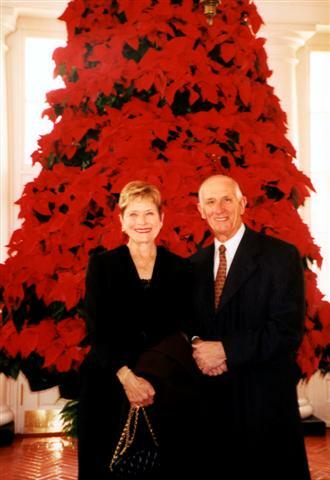 This photo was taken in front of the White House ChristmasTree.